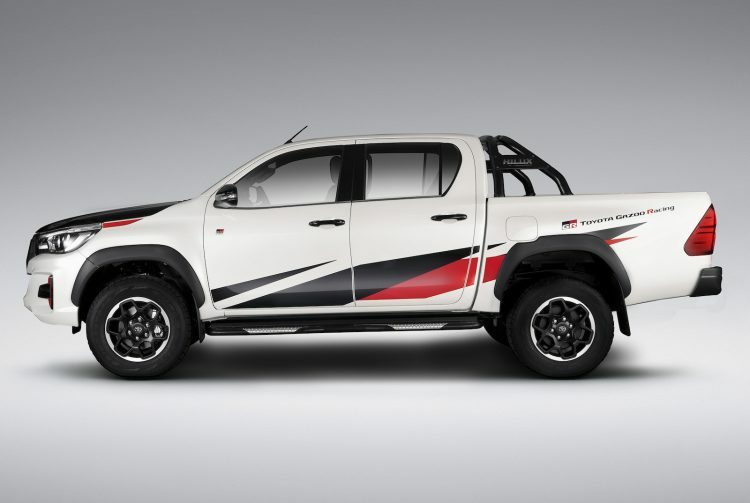 Toyota’s Gazoo Racing motorsport partner has turned its attention to the trusty HiLux, creating a unique edition which has just made its debut at the Sao Paulo motor show in Brazil. Welcome to the Toyota HiLux GR Sport. 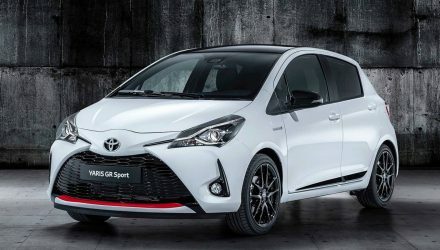 Gazoo Racing has made a few special edition Toyotas over the past couple of years, including the Yaris GRMN and Yaris GR Sport, and is set to offer a special version of the new Supra. On first impressions, the HiLux GR Sport seems like a great idea considering the popularity of utes and pickups at the moment. So, what’s it all about then? 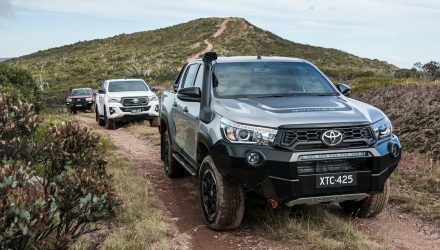 Toyota’s South American arm said the model represents three main attributes, including performance, design and exclusivity. It only takes a quick glance to see the difference in design compared with the regular HiLux. The exterior features a distinct white, black and red colour scheme which has become a hallmark of Gazoo Racing products. 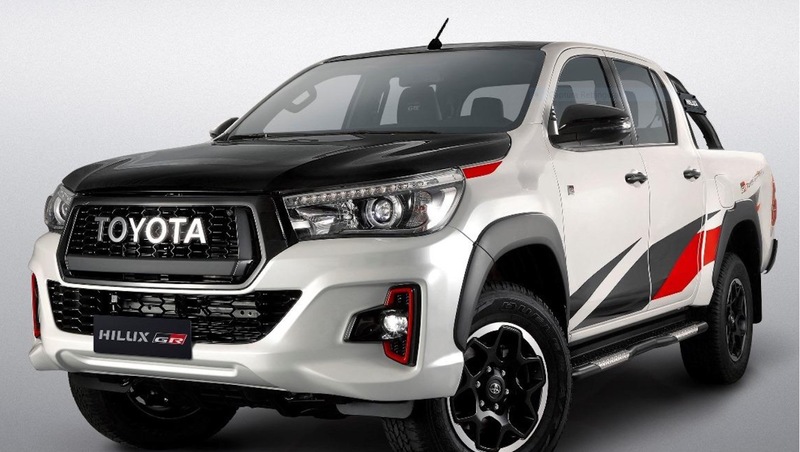 There’s also a bespoke front grille with TOYOTA imprinted on, LED headlights and fog lights, and a two-tone bonnet and roof. 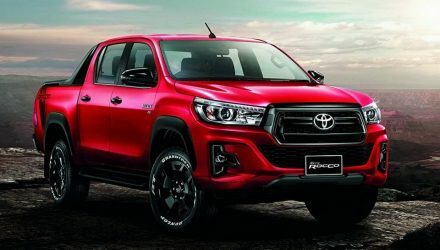 There’s also a set of 17-inch alloy wheels which look similar to the wheels on the Australian HiLux Rugged X, with a thick, black-painted sports bar in the back. 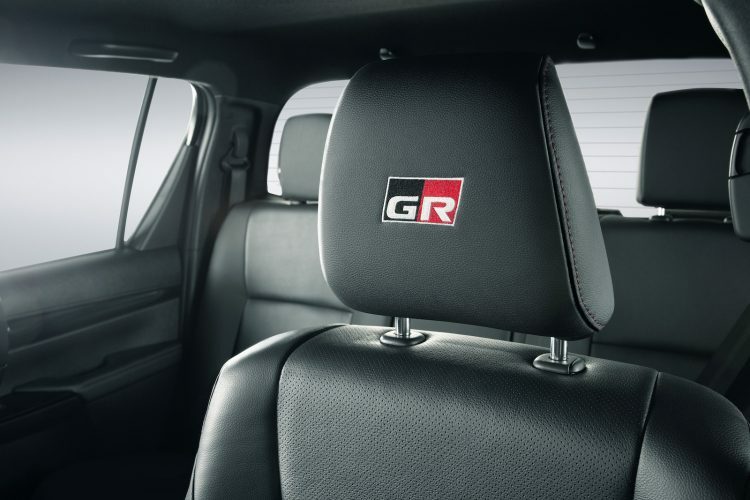 Some revisions are made to the interior, with GR logos added to the leather-clad seats, a special GR start button for the driver, red stitching, and GR build number plaque on the centre console. White illumination is also used for the instrument cluster for a fresh look. As for the performance. Well, don’t get too excited about under-bonnet enhancements. Because, unfortunately, there aren’t any. However, the HiLux GR Sport does come with a retuned suspension package, with stiffer front springs and new, monotube dampers. 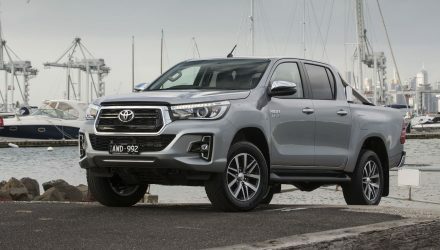 Toyota says these changes help to increase the Hilux’s high speed stability and confidence on low-grip roads, without compromising the ride comfort or load capacity. Under the bonnet the normal 2.8-litre turbo-diesel four-cylinder engine remains as is. 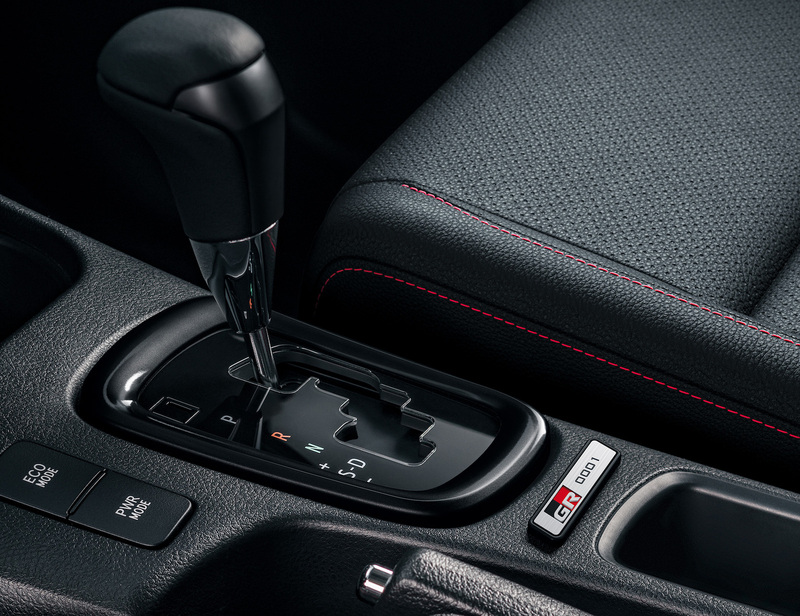 It produces 130kW and 450Nm, and comes matched to a six-speed automatic transmission and four-wheel drive as standard. Only a limited number will go on sale. It will be produced and marketed in Brazil and Latin America only.